Fan-freaking-tastic read! I say that with the most seriousness that I have in my body. It may not be a lot, but I 100% mean it this time. Also, can we talk about the fact that this is a debut author author? That just completely blows me away. The writing, the story, the characters, and the structure of the book. Just wonderful. Very satisfying. What Mindy did in this book was mask every ounce of truth until the very last minute. To me, that makes it such an incredible journey from the get go. Full of guessing and ideas that I couldn’t wait to see if I was right or wrong. It was misleading and suspenseful and to me, that’s exactly what I was hoping would come from reading this book. When a book lives up to my expectations: I’m happy. Character wise, Hattie’s character was my favorite. She was so manipulative, unreliable, and a chameleon. She was a “just a teenager” but so smart and wise beyond her years. She knew what she was doing, when she was doing it, and why she was doing it. She was the most dynamic and well thought out character I have read this year. And one of the most unreliable. That tricky, tricky girl. I could NOT put this book down, so why the four stars? One of the POV’s we constantly receive just wasn’t doing it for me. He was boring. I wanted to skim those chapters. And the truth is, I probably could have. I loved the pace and build of the story. No lulls and not a single gap. Every page I turned was something new and exciting. Plus, it contained a personal favorite (of mine) aspect of story line of mine. Everything You Want Me to Be is a win from me. 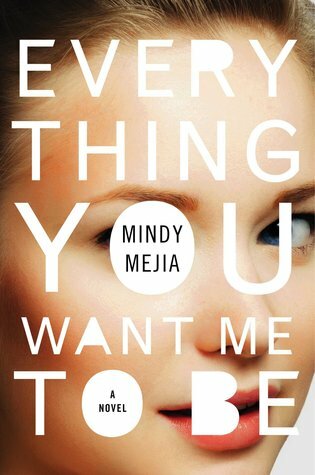 I highly recommend it to any type of reader and I look forward to what Mindy puts out in the future, I’m definitely a fan.